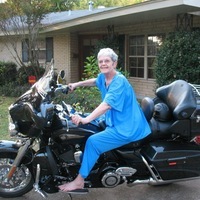 Provide comfort for the family of Evelyn Moulder with a meaningful gesture of sympathy. Mrs. Evelyn Parker Moulder, age 82, of Alexandria, Louisiana, entered eternal rest on Tuesday, March 19, 2019 at Rapides Regional Medical, surrounded by her loving family. Arrangements have been entrusted to Gallagher Funeral Home and Crematory, Ball, Louisiana.